Goodbye, sunset promenade runs. Goodbye, weekends in the city. Goodbye, Lion's Head. Goodbye, all my Cape Town favourites! After four and a half years, I left South Africa's Mother City in a swirl of excitement and nerves. Well, I left South Africa entirely... I moved abroad! It was a crazy few months of waiting and hoping, but my dream of working overseas finally came together. I swapped Cape Town's mountains and hipster coffee for the blue waters of the Gulf and futuristic skyscrapers - yes, I moved to Doha! While I've gushed about my love for Cape Town and shared my top spots for first time travellers before, I wanted to visit all my favourite spaces one more time before I headed to Qatar. While I'm sure I'll be back to visit in the future, I wanted to say goodbye and take the time to appreciate all the moments I spent in the city. I tried to be strict with myself, and limit my list to the absolute favourites and not the oh-but-I-went-there-once-and-it-was-lovely spots. It was difficult, but I managed it. So, which spaces and places made the list? Cape Town's favourite handmade ice cream parlor was an easy choice. I mean, how could you not adore The Creamery, with its mint blue minimalist decor, commitment to locally-sourced produce and deliciously crazy ice cream? At one stage, I was such an addict that I tried their monthly flavours every month, visited multiple branches and collected enough stamps to complete numerous loyalty cards. My standard order is a single scoop of peanut butter ice cream (in a tub, please), but my seasonal favourite flavours over the years have included hot cross bun and birthday cake. This urban park is one of the larger green spaces in the City Bowl, and is a welcome reprieve from all the CBD concrete. It has biodiversity areas, a lake, golf course, walking routes and picnic spots, as well as stunning views of Lion's Head and the Green Point Stadium. On Saturday mornings, it also plays host to a free timed Park Run event, which is a great way to start your weekend and help you gradually build up the strength to run 5km. 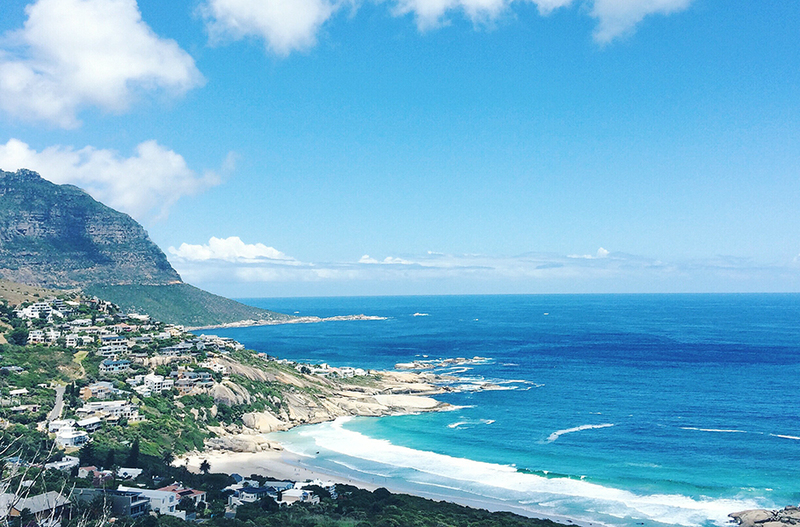 The postcard-perfect view of Table Mountain from Table View's beach is always worth the trip up the West Coast. The relaxed suburbs feel a world away from the busy confines of Cape Town's central city, and are filled with families who build sand castles and walk their dogs on the beach. Grab an ice cream, a book and a spot on the sand, and you'll feel like you're on holiday. I am entirely too attached to this (admittedly touristy) choice - but I really don't care. With its stunning seaside views, cute striped lighthouse and wide paths, this was my go-to spot for evening runs and weekend walks. If you venture closer to the Sea Point part of the promenade, you can sit and gaze at the ocean from a bench shaped like a poodle, admire the public art works, or play a round of putt putt. Watch para-gliders spring from up above, or admire the many angles of Lion's Head. This winding coastal road from Camps Bay to Hout Bay is a great pick-me-up if you've had a rough week. With mountains and the homes of the rich and famous on one side, and the gorgeous waters of the Atlantic on the other, it's a guaranteed mood-booster. Stop over in Llandudno or continue to Hout Bay, where you can devour the many treats on offer at Bay Harbour Market. A go-to spot for chilled weekend brunches, Red Sofa Café won me over with their relaxed vibe, street-side seating and soya lattes. People-watch from their window booths, or skip the office for the day and take your laptop on a field trip (I wrote part of my Master's dissertation from an outdoor table). Oh, and you definitely need to try the brownies! This street initially endeared itself to me when I discovered it had a traffic light syncing error that allowed me to drive along its length without stopping (seriously, this made me happier than it should have and very sad when it was fixed), but it has other perks. Bree Street is an incredibly trendy road that is home to designer studios and craft beer breweries. It is also where you'll find some of my favourite inner-city eateries like Clarke's, IYO Burgers and Jason's Bakery. This harbour-side spot is one of Cape Town's biggest tourist attractions for a reason - from the mall to the markets, it is a great place to walk around on a Saturday afternoon. Grab some flatbread and cupcakes from the Market on the Wharf, try on jewellery at The Watershed, or find a pier-side seat and watch the seagulls come and go. Bonus: Cape Town favourites video!